Before Lily and Amon met, before the cosmos was in chaos and needed three brave brothers to fight off evil, there were four siblings who helped rule the Earth. Each sibling had a special gift. Osiris, the god of agriculture, helped mortals to grow and thrive in their natural environment. Isis, the goddess of creation, fostered health and wellness. Nephthys, the seer, was able to keep the balance between all living beings and the universe. But Seth, the youngest sibling, was left without any special powers. Phenomenal! I love this series! The third book in the gripping Tiger's Curse series! 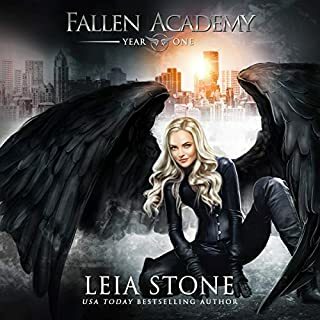 With the head-to-head battle against the villainous Lokesh behind her, Kelsey confronts a new heartbreak: in the wake of the traumatic experience, her beloved Ren no longer remembers who she is. As the trio continues their quest by challenging five cunning and duplicitous dragons, Ren and Kishan once more vie for her affections - leaving Kelsey more confused than ever. 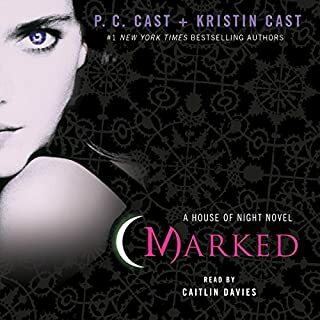 ©2011 Colleen Houck (P)2011 Audible, Inc. I enjoyed this engrossing, travel-filled adventure as the set up to the next installment. Filled with not only the fights and quests of the characters, but so much emotion and conflict between them. I appreciated the way Kelsey grew and matured a bit. She did not "change her mind" as often as I was afraid she might. The writing is good, with the exception of one notable scene that seemed too prolonged. We are left with a bit of a cliffhanger, definitely keeping you waiting for the next book, especially if you are a fan. The narration by Annika Boras is very good! Would you consider the audio edition of Tiger's Voyage to be better than the print version? I haven't read the print version but I have to say that the narration really brought this to life. This book broke my heart and made me fall in love. I felt the emotions - This entire series has made me laugh and cry. Several times I wanted to embrace the characters and sometimes I wanted to take a book and smack it over their heads in frustration. This series has it all. Adventure, Love, heartbreak, Fantasy, Magic. Give Me Book 4!!!! I'm dying to know what happens next! JUST KEEPS GETTING BETTER & BETTER! The first 2 books in the series had me totally enthralled and this one certainly didn't disappoint! I could not get enough and was bummed when it ended. Can't wait for book #4 to be available. HIGHLY RECOMMEND THIS SERIES! 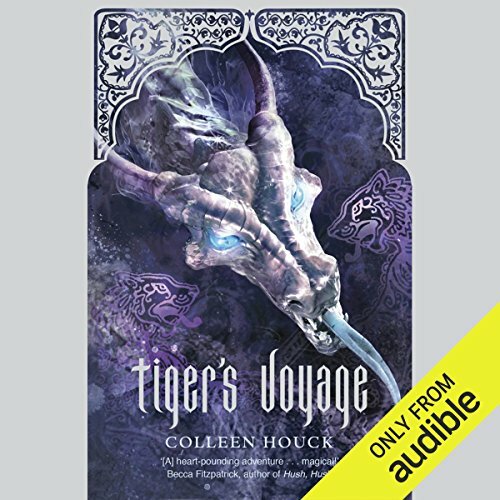 Where does Tiger's Voyage rank among all the audiobooks you’ve listened to so far? Toward the top of the list, will listen to again. Its ability to draw me in even though it is the 3rd book in the series. What does Annika Boras bring to the story that you wouldn’t experience if you just read the book? The inflection she gives to the characters is perfect. I love her female and male voices, you know which character it is speaking. Frustration because I couldn't listen to it enough. I am so pleased with this series. I just finish one and can hardly wait to get the next book. The characters are wonderful and the narrator, Annika Boras, does a great job bringing them to life. If there were more than five stars I would give them. Love this series and can't wait for the next book! I really love this series, I was left desperately wanting more after the last book and this one totally met my expectations. The level of detail is incredible, it is just amazing to think that the author came up with every detail in the book! I love the different myths and the stories, they really make the book so interesting. These characters are so well developed and although the language can be a little cheesy at times I just love them all. I adore the love triangle between the two brothers and Kelsey and can’t even imagine what will happen in the end. The narrator does a great job also. 1. Ren's turnaround on Kelsey. At the end of the last book he couldn't stand to be near to her and then within a few chapters he is falling in love with her again?! I just couldn't believe it. It was all too easy and convenient. 2. Kishan was the total bad boy character, he and Kelsey had such great chemistry (the scene in the pool anyone?!) but he was so boring in this book. He lost all his personality and wasn't interesting at all. I find Ren a little too perfect (Mr Superman) but I really disliked what happened to Kishan in this book. Oh and if I have to hear Kelsey say "the man I love" one more time I think I will scream! What other book might you compare Tiger's Voyage to and why? I love her voices. The way she brings each character to life. I love this saga. Can't stop reading. So ready to read the next book. I didn't think it could get any better! Yes as there are so many characters and legends and poetry in this series that listening to it is better than reading it yourself. in this book I would say kishan, as his character is really developed and tested in this one. Yes they are wonderful books. I'm having a hard time finding another book to listen to that is as entertaining . All the characters are important in these books. What about Annika Boras’s performance did you like? She is one of the best I've listened to and I've been a member for years and gone through a lot of books. When I find a reader I like I look for books they have done, I choose what I read for the narrator as much as the author. I will be looking for her along with my other favorite narrators she made these books irresistible. There were times I got frustrated. I always have a hard time with the not telling feelings between people in books so many mistakes are made due to lack of communication. I have to remind myself that the book is about young people and that's par for the course with the young. All in all these books gave me everything I love in a book, and I will recommend them to all my friends. I want to thank Colleen Houck for her writing and Annika Boras for giving me such a wonderful time listening to all the books. Please keep going I will be waiting for both of you to do more in Audible. I really enjoyed this series and cannot wait for the next book. 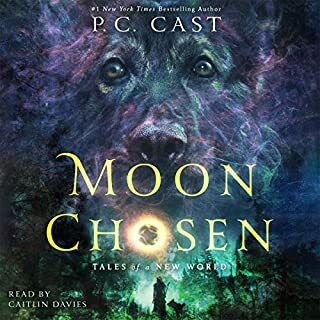 I see it is on Amazon so I am not sure why it is not on audible already. I highly recommend this series. Yes, there are a few flaws in the story and the writing but the excellent narration makes up for this. I highly recommend this series. This is the third book in the Tiger's Curse Series. I LOVED it! I downloaded this as an audio book, as I wanted to read it, but just didn't have time. Annika Boras again narrates the tale. I love the way she gave each character their own voice and personality. She did another fantastic job. Kelsey Hayes is a fantastic character. I liked her a lot. She has grown in character and personality. It has been a pleasure to watch her grow from a teen full of angst into a woman who could face deadly challenges and become stronger (not only physically, but emotionally). However, that being said, I still wanted to either slap her or shake her on occasion. She has an annoying habit of not seeing the bigger picture. Her emotional turmoil with regards to her feelings for Ren, and now Kishan, blinds her to certain things and the reasons why they happen. This story continues from the end of Tiger's Quest. I was literally an emotional wreck after reading that book, but I was dying to know what would happen next, so I couldn't wait to get into this one. I was quickly drawn back into the story. Ren and Kishan are now able to remain as men for twelve hours. Unfortunately, the torture that Ren suffered through has left him with no memory of Kelsey. This change in the relationship allows Kishan and Kelsey to become closer. I like Kishan. He is just as swoon-worthy as Ren. He is handsome, kind, courageous and brave. As I said in my review of Tiger's Quest, I am not a huge fan of love triangles, as they can be slightly one sided. This author has created two great men that any girl would love, and Kelsey is no exception to their charms. However, just to stir the honey pot, the author then introduces us to Wes, a smooth talking diving instructor from Texas. He is extremely charming and it was rather amusing for me to "see" Ren and Kishan's reactions to him. 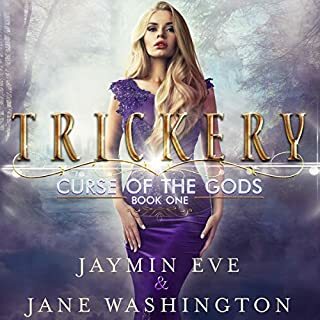 This story sees the trio, along with Mr. Khadam and Nilima, set off to face another challenge in an attempt to break the curse. The story was again peppered with myths and legends; it was very evident that the author had done a lot of research. This, coupled with an emotionally driven plot, was woven into a believable tale that kept me hooked from beginning to end. This book is longer than the previous one, and is just as emotionally draining; I found myself in tears more than once during this tale. The challenges these characters faced didn't seem as believable to me, but the action was intense and exciting, which made up for it. 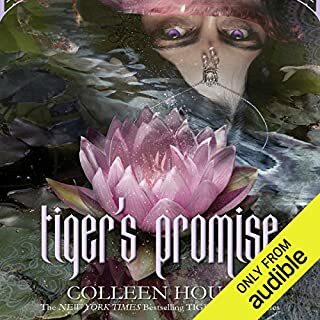 There are twists and turns aplenty in this story, but the ending has a twist that, although not a huge cliffhanger, makes me want to get the next book, Tiger's Destiny, as soon as possible. 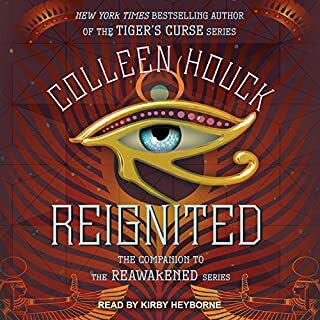 Colleen Houck has written another fantastic YA adventure. I love her writing style, which is fast paced and exciting, without being rushed and the flow is wonderful.